February 2012 – A Write Old Life. 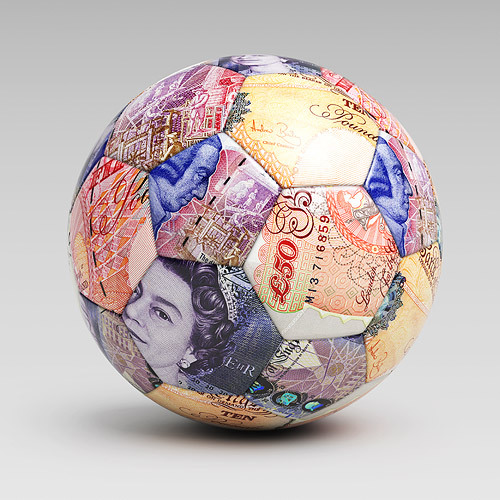 Has football finally reached its financial tipping point? Geed; not so great after all. As a lifelong football fan and a passionate supporter of fans rights, I am often asked to become involved in campaigns. These can involve huge protests about clubs being taken to the edge of financial ruin by useless owners through to charity evenings being run by fans to raise money for sick children. No matter what they are, as long as I have a degree of sympathy with the cause then I will do whatever I can do to help be that by going along to show solidarity or by donating books to raffle off as prizes. And I do that because I am one of those who believe that no matter where they watch their football, fans are one huge community. Yes of course there are exceptions (we all have rivals after all!) but at the end of the day, it’s the game that really matters and if a club are in trouble or something is being done which is fundamentally wrong, we should all pull together to help. I actually wrote a book about this very thing –Rebellion- which examined protests at clubs ranging from Manchester City to former FA Cup winners Wimbledon FC. The reason I mention this is that this very week we have seen two clubs go into administration here in the UK including one of the legendary names of world football. 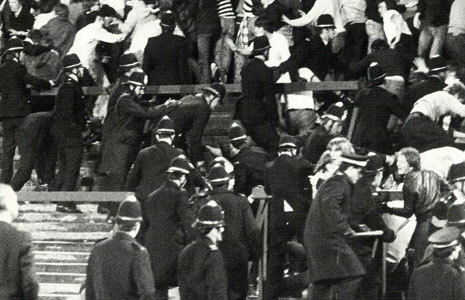 No, not Pompey, but Glasgow Rangers. 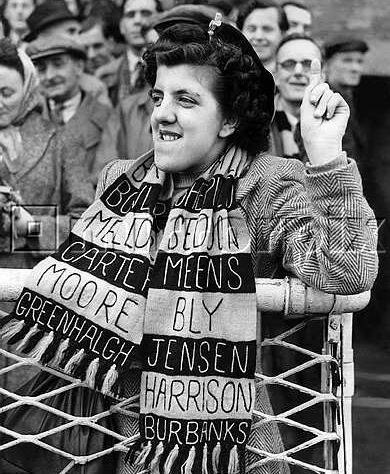 Now I won’t go into my usual rantings about the way football is run but there is a sad inevitability in the fact that as with all such things, the only real hope for ultimate salvation will lie with the fans. Only recently we saw little Darlington put out a call for help when closure seemed just days away and to the credit of all those who follow the game, even though they are a relatively little club that call was heard and a small fortune raised (including one single donation of £25,000) to keep them going for a while in the hope that some way of saving them will be found. And to be fair, if history is anything to go by it probably will be. Sadly too many clubs have been in this position before including such giants as Chelsea, Leeds, Wolves and even the great Manchester United. To me, things like this actually show football fans at their very best. We get a lot of bad press thanks to the hooligan and racist elements but we should never forget that they form only a tiny minority and the vast majority love the game and everything to do it. Long may that continue. However, whilst news of a club in crisis being saved by the community of football fans always fills me with pride, it also fills me with a sense of anger. Anger which is directed at one specific group. It would be reasonable to assume that the target of my fury would be those who administer the game. After all, their consistent failure to impose any kind of strict control over how the individual clubs manage their finances is ultimately responsible for things like this happening. But it is not. No, my anger is directed at players. I do not for one second begrudge anyone earning a decent living out of the game because if I could, I would. I don’t like the amounts involved when we get into the top flight, that’s true, but I certainly don’t blame them taking it. That’s market forces after all. The bank of football, for some. that but in the main, players take a fortune from out of the pockets of fans and then when trouble hits a club, we are the ones they expect to dip into our pockets to keep that the club alive. That’s not right. Not right at all. Here in England there are 92 professional and hundreds of part-time clubs and together they form what is in the opinion of many, the greatest league structure in world football. If one of those clubs goes under, especially in the current financial climate, it can only destabilise the rest and as Rangers have shown, no one is immune from the danger of financial collapse especially when the tax man comes calling. Indeed, there are a number of Premiership teams in serious trouble at the moment and one can only imagine the consequences should one of those go out of business. So with so much at stake is it really too much to expect that the people who take the largest slice out of the game contribute a small percentage of their huge wage to help keep a struggling club alive? Or is that responsibility always going to fall on that group of people who in far too many cases these days are already struggling to afford the cost of a ticket to walk through a turnstile? Could I also thank all those who have downloaded my most recent book, The Art of Fart. If you liked it, please leave a review at the store where you obtained it from. As with all my books, they really do make a difference. And I recently gave a short interview to the excellent It’s Round & It’s White website. Please click on the link to visit.